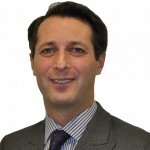 Richard is London Managing Partner at Mazars UK. He is responsible for Mazars’ award winning business and human rights services which helps companies address their human rights risks as well as compliance with the UK’s Modern Slavery Act. This commentary is adapted from an address given by the author at the launch event for the UNGP Assurance Guidance in London on 19 September 2017. 1 November 2017 — The UN Guiding Principles Assurance Guidance is the first human rights specific guidance to those who perform assurance either within a company on its human rights performance or externally on its human rights reporting. It is the culmination of a five-year, multi-stakeholder project between Shift and international auditing, tax and consulting firm, Mazars. We came together to explore what human rights assurance should look like in the context of the UN Guiding Principles on Business and Human Rights. Discussions quickly recognized the need to look initially at human rights reporting. The first tangible product was the UN Guiding Principles Reporting Framework, aimed at helping companies not only better understand and prioritize their human rights risks but also to report on them more consistently and meaningfully. Since the Reporting Framework was launched in February 2015, it has been referred to in the annual reports of many of the world’s largest companies and has been recommended by governments globally including in France, Sweden, Norway, the US and the UK. It is also supported by a coalition of nearly 90 institutional investors with over $5.3 trillion assets under management. Arguably, its success is due to its simplicity. Asking companies to respond to eight overarching questions about how they govern, prioritize and address human rights risks – and for those more advanced companies, 23 sub-questions. It focuses on risk to people, whereas most definitions of materiality start from the standpoint of risk to the business. Yet we also know those risks that are most salient will converge back as risk to the business. So, the lens also helps companies move past the blind spots on business risk that traditional approaches can reinforce. The UNGP Reporting Framework was never about just adding more information to companies’ reporting. The truth is that annual reports, in their current form, are too big and too clunky, and have potentially lost their primary purpose. This year’s greater focus on non-financial reporting should start to redress that balance. The UN Guiding Principles are all about making respect for human rights an integral part of how business gets done and therefore reported. That aligns with the aims of the International Integrated Reporting Council and their Framework through which companies think and report on the capitals (financial, manufactured, intellectual, natural, social and relationship and human). Our Reporting Framework supports and help companies better understand the last two capitals. The auditing of human rights has had a bad name, associated with so-called ‘social audits’ in factories and on farms that typically focus on labour rights. The fire at the Tazreen Factory in Bangladesh that killed 112 employees occurred just two weeks after a social audit took place and is just one of many such examples. Audits such as this are not audits as we understand an audit should be. They are certifications – a checklist review – performed by people paid by the same factories or farms seeking to use the certificate to persuade brands and retailers to buy from them. We realized that if auditing of human rights was to regain any credibility it needed to be based in, and intimately linked to, the existing assurance frameworks that professionals around the world are obliged to follow, whether performing internal audit within an organization or external assurance of its reporting. So, we developed subject matter guidance that can be used in concert with the professional assurance frameworks followed around the world. This guidance takes the main themes of those frameworks and looks at them through a human rights lens. The second document that we have produced is that of indicators, designed as a practical tool to help practitioners identify the relevant types of evidence for assuring a company’s human rights performance or reporting. The indicators were designed so as to cover both the appropriateness of policies and processes, and their effectiveness. So, what difference will this guidance make? I think the answer goes back to that point about ‘integrated thinking’. Some years ago, companies thought about human rights mostly in the context of corporate social responsibility. This was defined as those things the company chose to do beyond its core business – how it spent some of its profits on social projects and initiatives. The UN Guiding Principles made clear that that vision no longer makes the grade. No company can succeed if it does so on the back of human rights abuses in its operations of supply chain. Every company must engage in identifying where this risks and impacts are present and take a role in preventing, mitigating and remedying them. Respect for human rights is not an optional extra – it must be part of how profits are made. Companies will struggle to make steps towards true integration unless their internal auditors are part of the process, and their external assurance providers are comfortable reviewing human rights information beyond limited data. Human rights can no longer be a niche and unusual area of practice for internal audit and external assurance. It must become a routine part of the work. Companies that want to know and show that they are responsible actors in society, that they contribute to sustainable development, and that they are effectively managing all forms of risk to the business, will need to work with practitioners who can work with human rights. This guidance will make that difference.